﻿ How to Grow an Orange Tree Indoors | Home Guides | SF Gate: Most gardeners are familiar with the large, spreading orange trees (Citrus) that permeate the backyard with their dark green foliage. 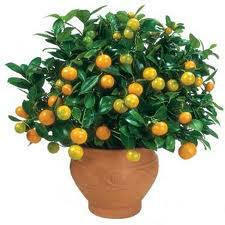 You can successfully grow an orange tree indoors as well. Specific dwarf varieties, such as calamondin (Citrus mitis) and trovita (Citrus sinensis "Trovita"), thrive well inside as long as their basic soil and light needs are met. Having these orange trees potted also allows you to move them outside during the summer so the fruits can sweeten properly.